Mom’s 4th husband was a Minnesota farmer. Minnesota may be the land of 10,000 lakes, but you couldn’t tell that from where we lived. I was ten and my brother was 12. Home was a huge farm in a tiny town called Wells, MN. I had my first lessons in business on that farm. Lessons that I later forget and then was reminded of in a very painful way. We had a pig farm. Oh, there were acres and acres of corn and soybeans and wheat, but hogs were the main crop. They smell just as bad as you might imagine. I complained to my grandfather one time. Rodney, that’s the smell of money. Don’t ever forget that. That’s a valuable lesson: look at the results not the process to find the true value. But, that was not the lesson that really stuck with me. Like many (most) farm kids, we participated in the 4H club. I still don’t know what the four h’s stand for, but in our case, one of them stood for hogs. My brother and I were both given a piglet to raise for 4H. 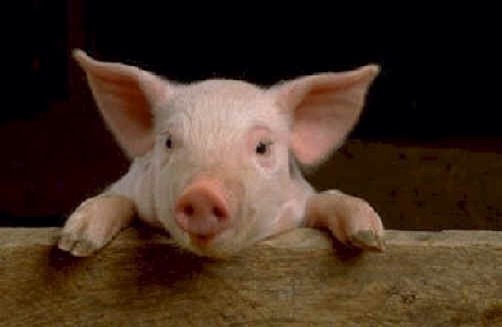 Despite their unsavory reputation, pigs are highly intelligent and actually very social creatures. When you have a 4H pig, you are expected to raise it with one goal in mind: a blue ribbon at the fair. My brother and I worked with our pigs every day. We fed them. We watered them. We cleaned them. And we took them for walks. These activities probably sound fairly normal with the possible exception of the walks. The walks were very, very important. First, they kept the pig active and in good shape. One of the most important criteria that pigs were judged on was their fat content. You didn’t want fat pigs. You wanted lean pigs. And walking was the way you got them lean. The second thing the walks did was teach us, and expecially teach the pig how to move together. At the fair, you were expected to “show” your pig by walking it around the pen. There were often a lot of other young kids walking their pigs around the arena at the same time. If you couldn’t keep control of your pig, it disrupted the other participants and it was a sure ticket to the dreaded red ribbon. Life is busy on a farm, especially in the summer. Taking care of the 4H pig was something we did in our spare time. That was time left over after bucking hay, weeding corn, cleaning barns, weeding more corn, slopping hogs, mowing lawns and finally weeding even more corn. I remember that as a ten year old, I was having the time of my life. I loved farm life, except maybe the weeding the corn part. And I enjoyed working with my pig. The summer started to draw to a close and soon it was time for the fair. It was time to see if all of our hard work had paid off. I still love fairs; the smells, the food, the livestock, the midway. It’s a magical piece of a summer ending ritual. And this year I was there showing my pig for the first time. I washed him and burshed down his skin. Looks were also important. . .even if he was a pig. When it came my time to enter the arena, I did my best to keep my pig under control while avoiding the other participants. Around the ring twice and then back out the gate. The results were announced later that day. I’d done it. My pig won a blue ribbon. My brother’s pig actually got called back to the arena to be considered for the grand prize purple ribbon. He had to settle for a blue ribbon as well. And this is the point at which the business lesson kicked in. See, pigs only get shown at the fair one time. And then they get auctioned off and sold, to a meat packing plant I presume. At the 1975 county fair, my pig sold for $350. That is over $1500 in 2015 dollars. To a ten year old, it was a ton of money. I think I bought a new bike with it. I don’t remember what else. The other thing I don’t remember is, I don’t remember missing the pig. I’d spent every day with it for months and when it came time to sell it and I realized it would be sent to the slaughterhouse, I don’t remember shedding a tear. A few months later when my mother told me we were leaving Minnesota and the farm, I remember crying, but, not at the fair. And I have my mother’s fourth husband to thank for that. Pigs were product. They were not pets. I don’t even think I named my pig. When I went into business, one of the first companies I worked for was WordPerfect. (Back Where It All Began.) I went from there to Microsoft. In both cases, I became emotionally attached to my job. I let my job define who I was. I forgot the lesson of the pig. I forgot to separate my emotions from the product. Leaving WordPerfect and later Microsoft was very much like getting a divorce. I decided at that point that I was never again going to marry a company. (Why Your Company Wants To Marry You. And Why You Should Say No.) I remembered the pig is a product, not a pet.